The ProLimo is offering an all-season special for its chauffeur service. The German capital is a destination that is sought out by millions of travelers – for a great variety of reasons. A comfortable sedan is the perfect mode of transportation to get you from one business appointment to the next, to get to trade fair events or conferences or just to go shopping. Your experienced ProLimo chauffeur will get you safely to your private or business appointments using the fastest and most direct route. Our vehicles come equipped with onboard WLAN so that you can write emails or work between appointments. In the summer our sedans offer a pleasantly cool refuge. On cold winter days, your ProLimo sedan will be warm and cozy instantly thanks to an auxiliary heating system. Book our private chauffeur service and get one or two airport transfers as a bonus. 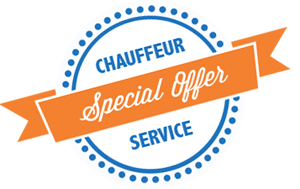 Book your private chauffeur service in an executive sedan and get airport transfers for free!